In all the worst ways, Rome has risen again for Christianity. 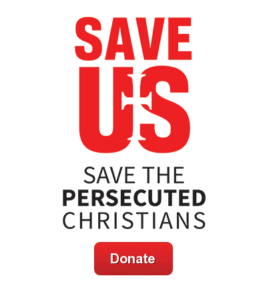 Christian persecution is becoming commonplace across the world. In areas like the Middle East, it is a long-standing problem that has gotten worse. In other places, violent persecution has suddenly become a major issue. India falls in the latter category. In recent years, India has seen the rise of Hindu extremism, and Christians are paying the price for it. Christians are threatened, raped, beaten and murdered simply for practicing their faith. Families have been chased out of churches, homes and villages, but many Indian Christians refuse to give in entirely. Threats of physical violence and death might keep them out of the churches, but many Christians have vowed to continue worshipping Christ in secret. Pastor Singh leads a church in the state of Madhya Pradesh, but Hindu radicals have begun threatening his congregation and people are afraid to return to the church.